It’s been almost a week and fall is officially here! I don’t know how the weather knows, but as soon as the calendar hits the first day of fall, a chill arrives in the air. Apples, squash, a multitude of root vegetables are on their way. It’s your last chance to put up some tomatoes for a burst of summer in the colder season. I’m an active volunteer at Lexington Community Farm. 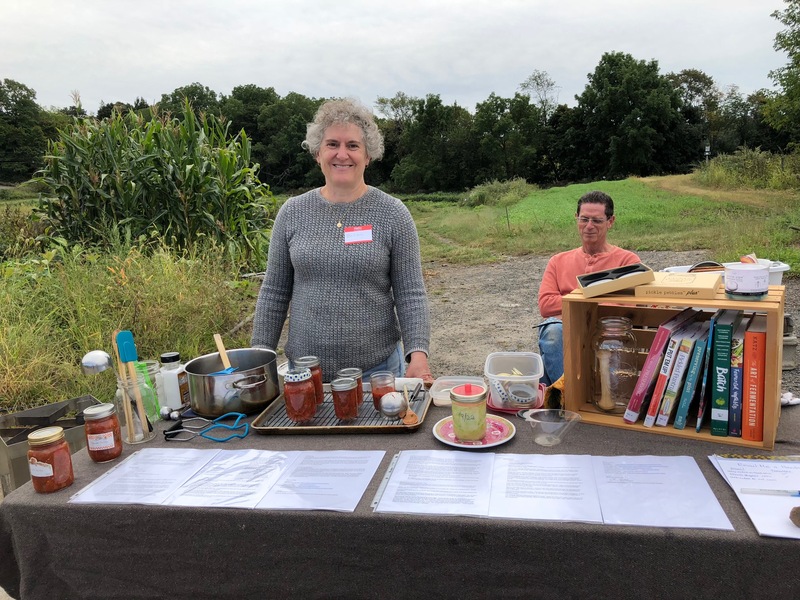 At their Harvest Festival last weekend, I put together an informational table on preserving vegetables and did a demo on canning salsa. Prior to preparing for the demo, I’d never canned tomatoes before. They have a reputation of being risky to can but this is undeserved. Tomatoes can be canned safely and easily. Tomatoes can be canned in many forms: whole tomatoes (or halved or quartered), salsa, tomato sauce, tomato soup. Anything canned in a water batch canner must have a pH of 4.5 or lower (high acid) to be safely canned. 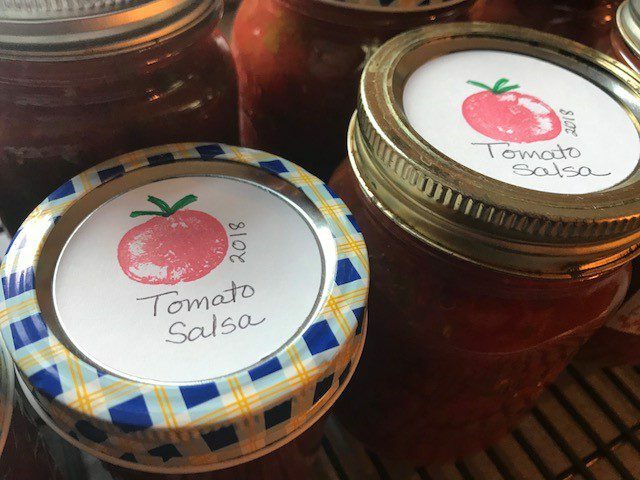 Because tomatoes are considered “low acid”, it is very important to include enough acid in the jars to prevent food-borne illnesses like botulism. Most sources discourage using fresh lemon or lime juice. Vinegar, bottled lemon or lime juice, or citric acid are the recommended choices because they have a known, predictable acidity. When canning tomatoes, you should only use recipes that have been tested for the proper acidity. This isn’t the time to wing it. Sterilize jars for 10 minutes in a water bath. Wash the lids and place in a heatproof bowl. Pour boiling water over them and let them sit. 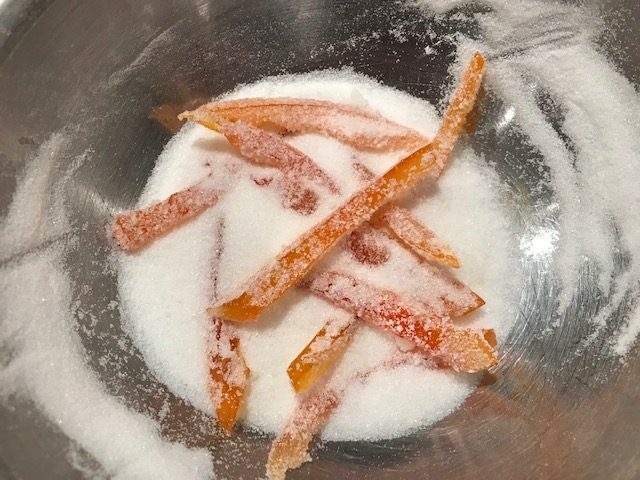 In the meantime, in a large saucepan, bring the vinegar, sugar, and salt to a boil. Add chopped vegetables and return the mixture to a boil. Boil for 5 minutes. Add cilantro and remove from heat. Ladle the hot salsa into hot jars, leaving ½-inch of headspace. Run a chopstick or small spatula around the side of the jar to release any air bubbles. With a damp paper towel, wipe the rims of the jars to remove any salsa that landed there. You need a clean surface for a good seal. Place a lid on top of each jar and then screw a jar band onto each jar. Place jars back into the canner and return the water to a boil. Once the water is boiling, process the jars for 15 minutes. Turn off the heat, remove the lid from the canner and let the jars sit for 5 minutes. Remove the jars to a rack or a baking sheet lined with a dish towel. Let them cool undisturbed for 24 hours. Check the seals. The lids should no longer be popped up. If a jar did not seal, store it in the refrigerator and use it first. Label jars with the date. Sealed jars can be stored in a cool, dark place for about a year. Canner Any pot, with a lid, that is tall enough to cover your jars by 2-3 inches. Rack You want the water to circulate around the jars, so the jars should not sit directly on the bottom of the pot. 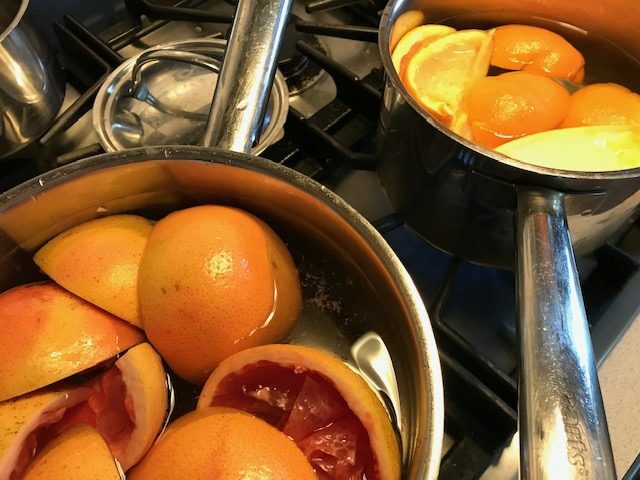 If you don’t have some sort of rack, you can make one by lining the bottom of the pot with extra rims from the traditional two-part lids used in canning. Canning Jar Lifter When canning, the jars are hot. Canning tongs are essential for safety. They are shaped to hold the jars firmly when moving hot jars in and out of boiling hot water. Wide-Mouth Funnel This reduces the mess when transferring jar contents to the jar. This has become one of my most used kitchen tools. I use it when transferring any food to a jar for storage, such as flour, sugar, rice, and grains. Lid Lifter (Optional) A magnetic wand that picks up lids without having to touch them with your hands. Bubble Remover/Headspace Tool (Optional) One end is notched in quarter-inch increments for measuring headspace. The other end is used to release air bubbles from filled jars (a chopstick can be used for this purpose). You can buy a “starter kit” of canning tools which typically includes the jar lifter, funnel, lid lifter, and bubble remover/headspace tool. Always sterilize the jars before canning. Place clean jars on a rack and fill the pot with enough water to cover the jars by 2-3 inches. Cover the pot and bring the water to a boil. Once boiling, start the timer. Continue boiling the water and the jars for 10 minutes. At this point, you can turn off the heat. Leave the jars immersed in the water. Never reuse the lid of a two-part lid. It won’t seal reliably after its first use. Rims can be reused. You will want your tools super clean too. I do not sterilize my tools, but I do slip them into the pot of boiled water to sit while I get ready to fill the jars. 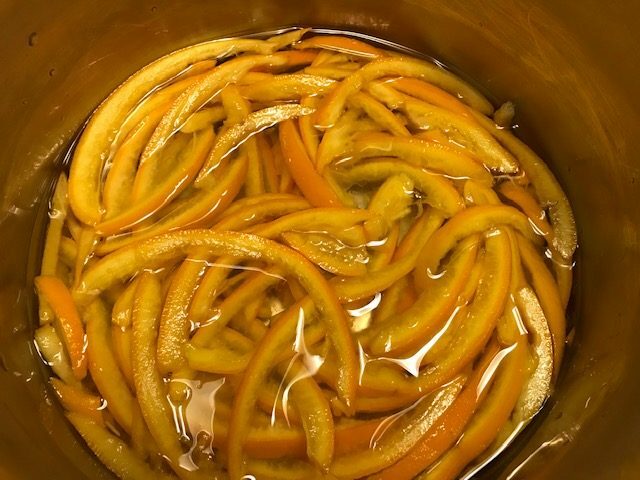 You will want to fill hot jars with the hot product. After sterilizing, the jars can sit in the hot water while you finish up cooking what you are going to can. Don’t let the jars cool; they should stay warm. 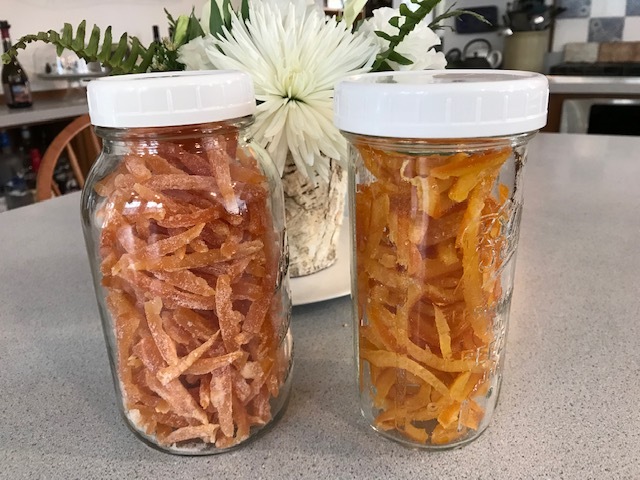 If the temperature differential between the jars, contents and water in the canner is too much, the glass jars might break from thermal shock. After processing, turn off the heat, uncover the pot, and let the jars rest for 5 minutes. This helps prevent thermal shock on removal from the pot. Freezing is another option, without any hassle. 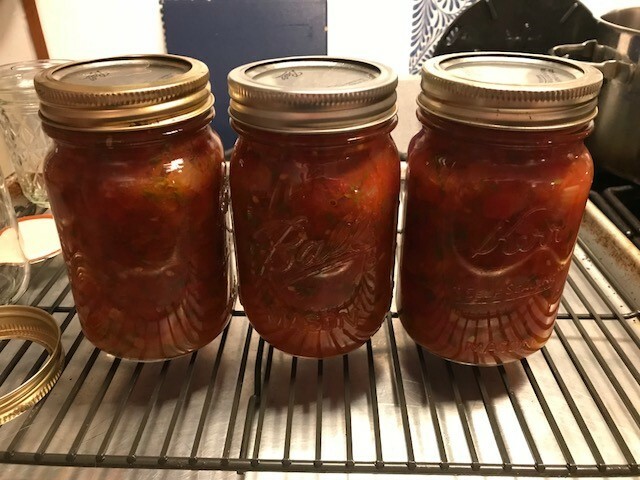 In late summer, I make my batches of favorite tomato sauces to freeze for winter pasta dinners. Nothing special is required for safe preservation. You just need containers and space in the freezer. Whole tomatoes can be frozen in freezer bags or other well-sealed containers. You don’t have to peel them first. Remove the stem scar, wash well, and dry, then pop them in a freezer bag. You can start a bag and add more tomatoes to it as you pick extras. When using frozen tomatoes, the skin should slip right off when you rinse them in warm water. You will want to use frozen tomatoes in cooked dishes because the texture will be mushy. When seeding the tomatoes, collect the seeds, surrounding gel and any juice in a bowl. Stir in some salt, dried Italian herbs, and optionally red pepper flakes. Transfer to a strainer set over a bowl and allow the liquid to drain back into the bowl, stirring occasionally to maximize the liquid extracted. Use this juice to make a very light and delicious Bloody Mary. When you peel tomatoes, you can save the peels and make Tomato Skin Salt. 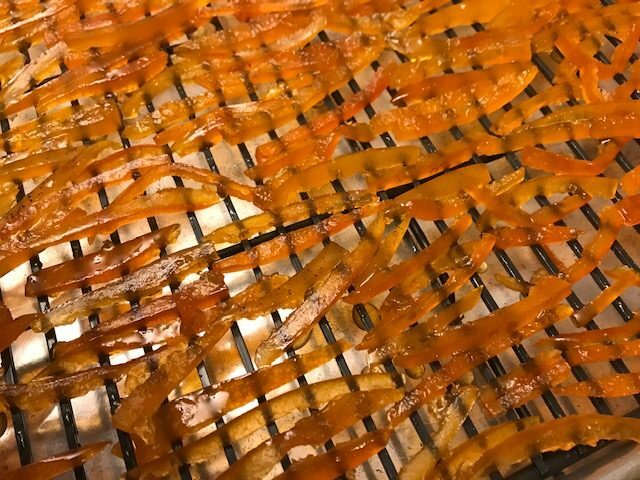 All you need are the peel, coarse salt, and some time to dehydrate the combination. This seasoned salt will extend summer’s flavors beyond the last frost.